Futureplay’s new mobile game called Build Away! bills itself as an idle city builder, but despite the game’s billing as such, it won’t be as simple as creating some buildings, sitting back, and waiting for those buildings to upgrade themselves. 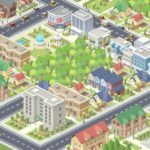 Still, Futureplay calls it a simple and relaxing game with tap and swipe mechanics to help you grow your city, and you can also enjoy unlimited growth potential and unique re-development opportunities, meaning the option to erect new buildings over the old ones. You can also hold carnivals to increase production, bring friends over and have them help you grow and customize your town, and make the right kind of investments to ensure that your virtual city thrives. No, this won’t be the city builder for you if you’re looking for something that’s completely idle – there’s still a lot of work to be done to make sure everything is up to speed, but when the work is done, it will be smooth sailing for the most part. But it’s more casual than other city builders, and we’ve got something that you may want to check out if you need some help moving forward. So read on and check out our exclusive list of Build Away! tips, cheats and strategies, which covers a wide range of general topics in the game. Why should you enable deliveries in this game? It’s simple – doing so will double the money you make from all your existing buildings, albeit for a limited time. This will last for only two hours, but by watching ad videos, you can add an extra two hours to the limited time you’ve got, all the way up to a maximum 12 hours. So with that in mind, enable deliveries and watch as many ad videos as possible to really boost your earnings in the game. Yes, it may seem like it’s all about the money, and you will want to increase the revenue that your buildings earn. Still, it’s a better idea to let the revenue add up on its own, as opposed to periodically collecting it yourself. That would require you to focus your investments first and foremost on increasing your energy level. That boosts money production times when you’re playing the game, and also when you’re logged out of the game, which makes it doubly good. Always prioritize energy over revenue, as you and your city will both be better for you doing so. The game will reward you with free briefcases if you reach certain milestones for your buildings. You can also get them while you’re collecting money, and in addition to that, watching ads to kick off the Carnival or to Extend or Enable deliveries will usually reward you with briefcases as an additional prize. So what’s in the briefcases, and what’s in it for you? The briefcases contain cards that can reward you with a random prize – it could be a new building, it could be an existing building, or it could be currency. Now under currency, there are three types which you can earn, but either way, opening a briefcase will give you valuable rewards. In addition to the free briefcases, you can buy them in the in-app store, but take note that their price will progressively increase as you keep on buying them in the store. The Briefcases menu will also allow you to check your Building collection. The game comes with 25 buildings which you can unlock and upgrade, and when you’ve got enough of the same building card, that’s going to level up that building and increase your profits – as you can see, getting a card for a building you already have is definitely not a bad thing. That in itself is reason to keep opening those briefcases and getting them whenever you can. One of the more interesting predicaments you may run into is a situation where your Construction upgrades are much higher than your Power level. That would stop revenue from accumulating automatically, and you will then have to collect it manually when the money gets produced. That could be very inconvenient, but there’s a workaround that could help you deal with this. You may notice that there’s a tiny number in the upper corner of whatever building you’re upgrading for Power. Check that number and see if it’s higher than the number that you see when upgrading for Construction, or if it is, at the very least, similar. If that’s the case, then you do not have anything to worry about. Sounds confusing? Here’s a simple example. One of your buildings can be at Power level 120, which would correspond to the number 3 in the upper left, you can upgrade its Construction level up to 199. But once that Construction level reaches number 4 in the upper left, then you’ve got problems, and you would then need to turn your attention back to Power. In other words, you want to level up the upper left number in Power first, add about ten upgrades, then upgrade Construction until the very end, but before you move on to another level. After that, concentrate again on leveling up Power, add ten upgrades to Power, and repeat the process from the start. It may not be the easiest thing to pull off at first, but it’s the best thing to do if you want to earn more profits in Build Away! See those hearts in the game? Those measure Love, and in a way, that refers to how much your people love you. But in terms of profits, more Love means more money, and you can upgrade your Love as you go along. Just be warned as well that upgrades will also get more expensive with each progressive one, but each upgrade will always be worth it. That’s because each new purchase will double your profit bonus per heart. You can earn more Love in the game by switching buildings with each other, or between Gifts sent by your friends. That’s one of the game’s most important mechanics, as you’ll find out soon enough in this guide. Before we move on to that very important switching mechanic, here’s one tip you should keep in mind before you upgrade your Love – always make some simple calculations to make sure you earn the most profit possible! Here’s one example to prove our point – let’s say you’ve got 250 Love units (okay, Hearts) for your third upgrade. If you go for it, you’ll get a Heart bonus of 6 percent, but you won’t really get anything out of it because you’ll be left with zero hearts. But if you’ve got that same 250 Hearts and are upgrading for a 4 percent Heart bonus, you’ll still have some Hearts left over, and you’ll still be able to profit. Build Away! has a bit of a social element to it, and you can connect your game to Facebook, not only to save your progress but also to add more friends to the game. By adding friends who actively play the game, you can gain more Love, and therefore enjoy more chances to profit, so if you really want to maximize you earnings in this game, we definitely suggest connecting it to Facebook and adding as many friends as you could. You always have the option to create a separate Facebook account for gaming, and add people through the Google Play or App Store reviews – just don’t be too pushy about it! As promised, we shall be closing out with the best, yet more time-consuming way to gain more Love – switching buildings with each other. Sure, the game is advertised as an idle city builder, but maximizing profit does require a bit of elbow grease, as you may have gleaned from the tips we’ve already given you. Switching buildings with each other is the perfect way to gain more Love if you’re the type who doesn’t want to involve his/her friends in their gaming, or make new ones for the sake of being social, or moving forward in the game. By switching a city building with another one that’s in your inventory, you’ll be rewarded with some Hearts. You will, however, have to start from square one with that building, with your Power and Construction back at Level 1. Still, the profits you earn at a certain level with that building will be higher than they were before you made the switch. Think of this process as Build Away!’s equivalent of “prestiging,” or the common mechanic in idle games that boosts your profits each time you go back to square one. As a bonus tip, make sure you’ve got some money in reserve prior to the switch, as that’ll allow you to unlock the first Power level, thus eliminating the need to manually collect by tapping. 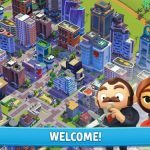 And this wraps up our detailed guide for Futureplay’s new mobile game, Build Away! If you know additional tips and tricks for the game, feel free to let us know in the comments section below! any tips wich buildings give you more profit?? theyre are like 20 buildings some of them are rare or legendary. what is the difference in profit by building?